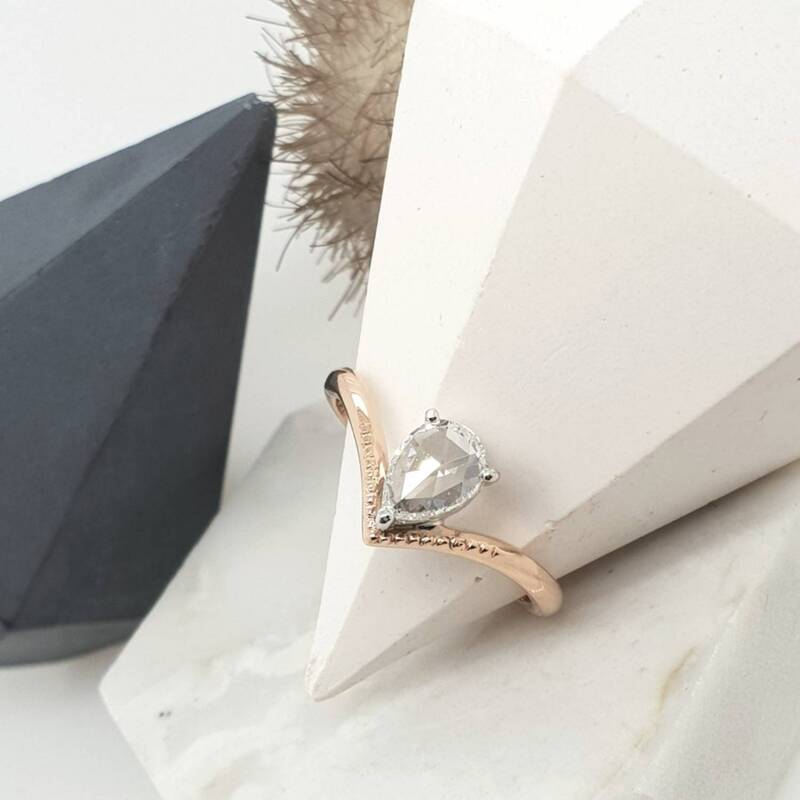 Bonnie is a one off piece featuring a delicate rose cut diamond in a fine dainty band. 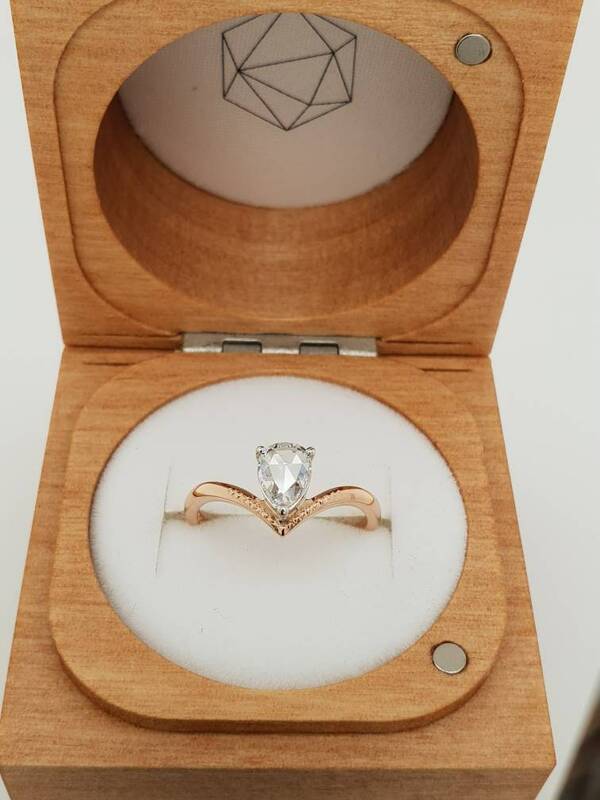 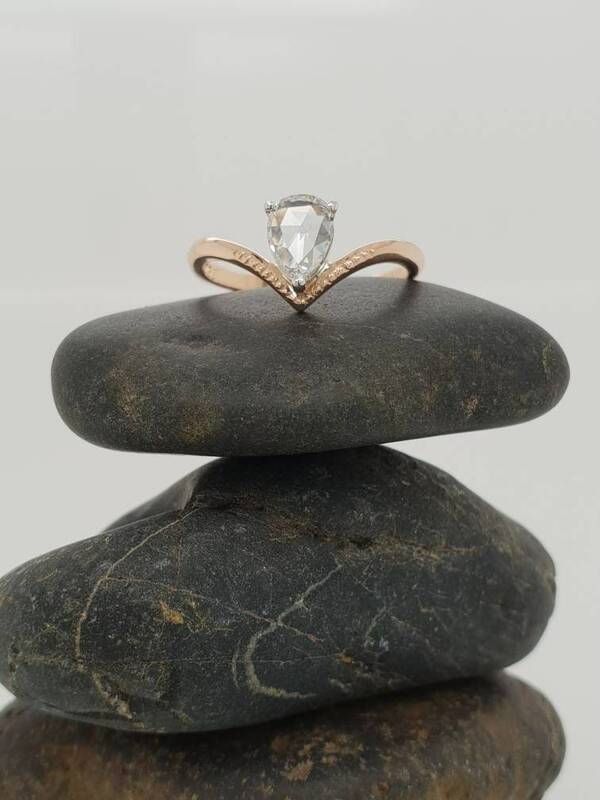 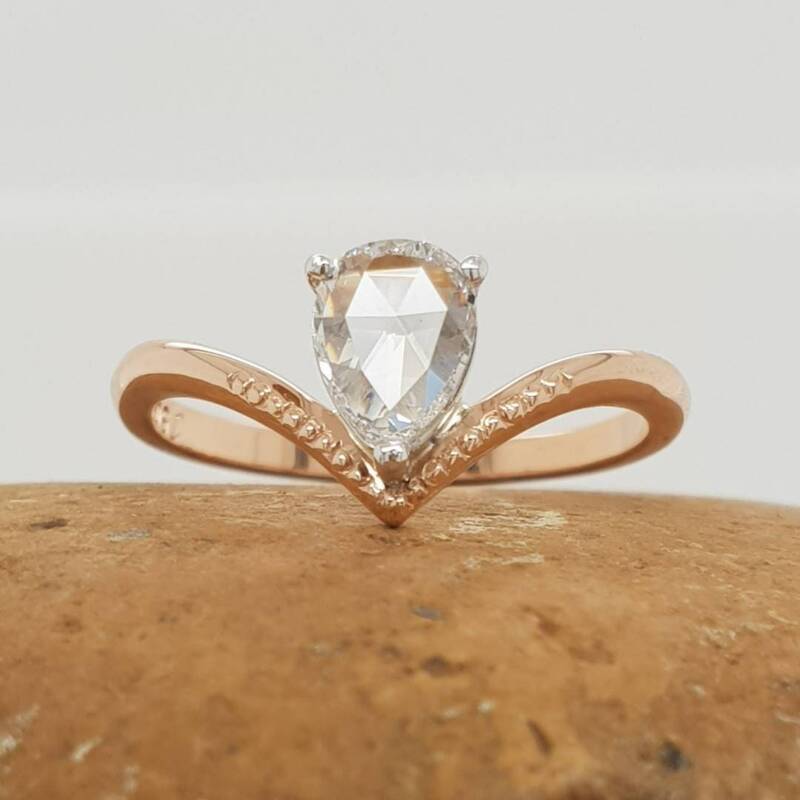 Bonnie is made from 18ct white and Rose Gold in a finger size L.
Set with a .47ct F colour VS clarity, rose cut, pear shape diamond. 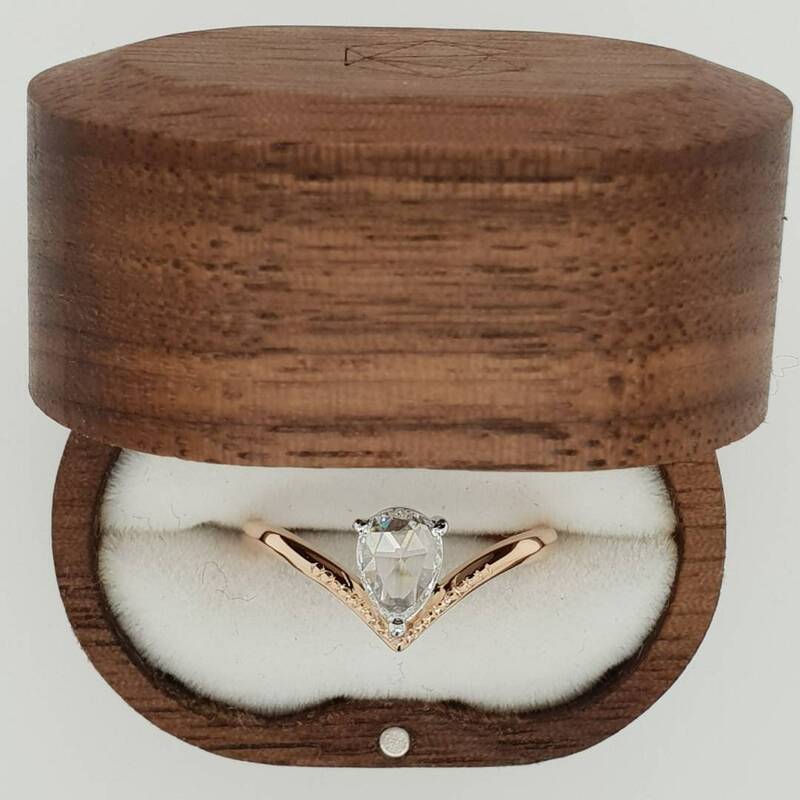 Bonnie will come presented in a beautiful timber box.